Although you use your garage every day, it probably doesn’t get as much attention as other areas of the home, such as your kitchen or bathroom. However, a functioning garage door is essential to keep your vehicle and belongings secure. 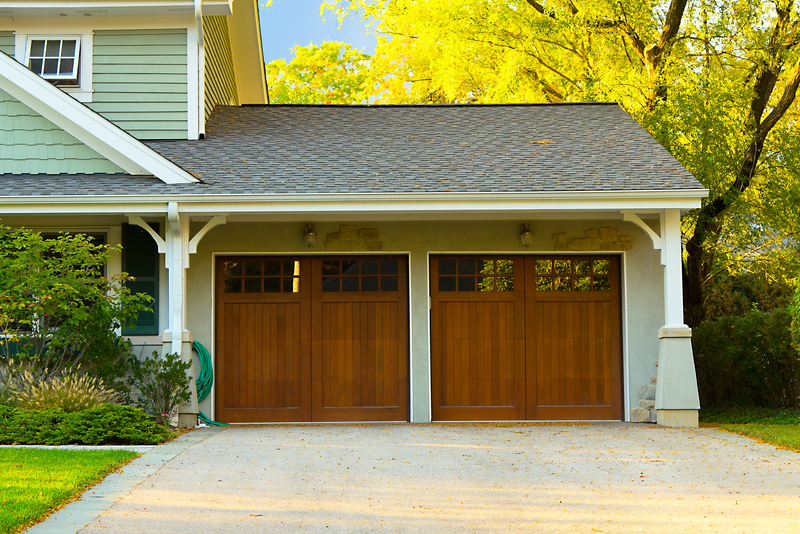 If you have a broken garage door, it’s important to diagnose and address the issue as soon as possible. Here are four common reasons doors malfunction. The transmitter is what sends a signal from the opener to the door to open and close it. If it is unplugged from the power source or its batteries are dead, it will not work. Try closing or opening the door with the transmitter in your garage. If it works, but your remote control does not, the remote likely needs a battery replacement. Otherwise, check that the transmitter is plugged in. If it is and still isn’t working, call a professional for help. Most modern garage doors have a photo eye which senses when someone or something is in the door path. It is a safety mechanism situated about four to six inches from the ground which automatically stops the door from shutting on a person or thing, preventing serious injury or damage. The eye, or eyes, if there is one on each side of the garage, can get dirty or blocked or become water-damaged. They can also be misaligned. Check the eyes to see if they are clean and correctly orientated. If not, address the issue immediately as a malfunctioning eye is a serious safety hazard. Over time, exposure to the elements may cause a door to warp or crack. This can cause the door to get stuck and only close partially or stop working altogether. A garage door repair professional can shore up a warped door with tension rods if the damage is addressed early on. Cracks can sometimes also be repaired, depending on the extent and location. If there’s extensive damage, replacement may be a more cost-effective option. If the door is closing more quickly than it should be, the springs or cables may be failing. Like any component, these will wear out over time with use and exposure to the elements. It’s not safe to attempt to fix these on your own as malfunctioning springs and cables mean the door could fall abruptly onto anyone beneath it. Call a professional as soon as possible to fix the issue safely. If you’re a New Haven, CT, resident, turn to Automatic Door Company, Inc., for reliable garage door service. Whether you have a broken garage door at home or your business, there’s no one better to turn to. They work on all makes and models, as well as providing installations. Call (203) 795-3577 to speak with a friendly team member or visit their website to learn more about how they can help you.